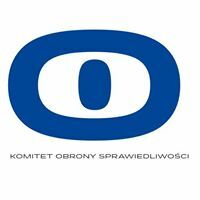 Resolution of 27 May 2017 – Stowarzyszenie Prokuratorów "Lex super omnia"
Association of Prosecutors LEX SUPER OMNIA is critical both of the legislative process and of the provisions of the Act on Prosecution Service which came into effect on 4 March 2016, as well as of the changes that have been introduced on the grounds of the Act, and of the effects of the changes. Conducting investigations as regards the President of the Constitutional Tribunal and judges of the common courts because of the judges fulfilling their statutory responsibilities. We believe that the creation of the Department of Internal Affairs is part of a political scheme that seeks to subordinate judges and prosecutors to the executive. We stand against the verbal aggression towards the judiciary and prosecutors, and against contemptuous utterances which are constantly repeated by the media and representatives of the Ministry of Justice. Association of Prosecutors LEX SUPER OMNIA refers with disapproval to the statements of the leadership of the prosecution service which indiscriminately diminish the functioning of the service in 2008-2015 and allege marginal treatment of economic, financial and tax crime. We note the superficial nature of changes, portrayed in the aura of propaganda of success. We are concerned with the declining prestige of the prosecutor’s profession – reduced to a politicized investigator, and with the diminishing trust in the prosecution service. Association of Prosecutors LEX SUPER OMNIA is critical of the human resources policy aimed at forcing prosecutors into obedience. The policy was initiated with demotion of prosecutors – unheard of in any democratic state of law. It continues in form of the delegation system, both to units of the higher level, and – without justification – to units of the lower level. Another component of the system is unconstrained power to dismiss prosecutors from functionary positions and appointment of new, inexperienced but obedient individuals. We oppose nominations to prosecutorial positions and official career advancements that fail to meet the criteria of merit. We insist on transparency of financial implications related to staff and organizational changes. Association of Prosecutors LEX SUPER OMNIA voices concern about the limitation of competence of prosecutors’ self-government, and about the deprivation of its representativeness. The colleges of regional prosecution offices are dominated by functionary prosecutors. The National Council of Public Prosecutors within the Office of the Attorney General, the composition of which has been determined by the Attorney General, has demonstrated that it was an organ incapable of carrying out its legally mandated task of safeguarding the independence of prosecutors. We call upon prosecutors – in the interest of citizens – to keep their vows; to faithfully serve the Republic of Poland; and to actively and solidarily react to attempts of breaking the independence that is the foundation of dignified and honest performance of the professional duty. Tłumaczenie dokonane przez INPRIS – Instytut Prawa i Społeczeństwa. Źródło tutaj. Prok. Krzysztof Parchimowicz gościem Wydarzeń telewizji Polsat.